Contact Holden & Darby Today! When you’re seeking lawyers in Orlando and the surrounding area, you’ll have many questions. The law can be complicated. That’s why it’s wise to trust a firm whose lawyers received their law degree in Florida and have practiced in our state for decades. At Holden & Darby, we work closely with clients to solve their divorce, injury or corporate law needs. Our highly trained group of professionals use their knowledge, experience, and a team approach to resolve complex cases through litigation and negotiation. Our attorneys, Thomas Holden and Paul Darby, have more than 35 years of combined legal experience and have been serving citizens of Florida for their entire career, making them experts in Florida law. You can trust that our educated legal team will have no problems handling your family, personal injury or corporate law needs. 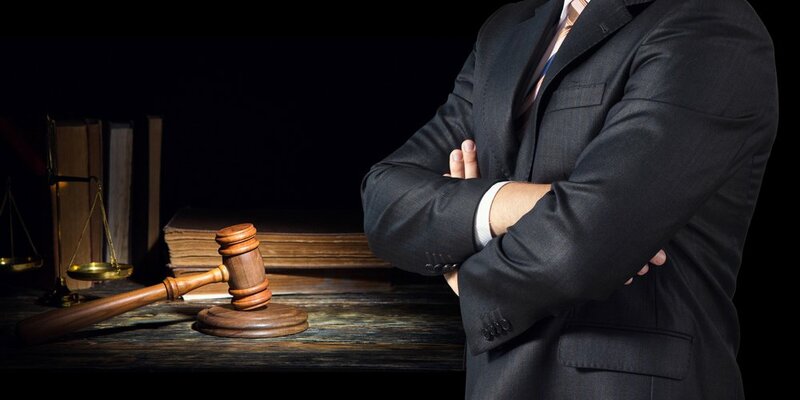 The attorneys at the law firm of Holden & Darby will make the legal process easy for you and will relieve you of the stresses that come with a lawsuit. We will ensure that your case is solid and well-represented, and we aim for nothing but the best possible end results. Our legal services include advice and advocacy for issues involving divorce, alimony, legal document creation and modification, business formation and litigation, medical malpractice, wrongful death, personal injury and more. We believe that good, working attorney-client relationships and dedicated legal professionals win cases and achieve positive results. We provide our services to residents of all counties in Central Florida, including Lake, Sumter, Seminole, Orange, Polk and Osceola Counties. Whether you live in Leesburg, Clermont, Eustis, The Villages, Altamonte Springs, Casselberry, Orlando, Winter Garden, Ocoee, Maitland, Lakeland, Auburndale, Bartow, Winter Haven, Kissimmee, St. Cloud or right here in Tavares, we’d be proud to represent your best interests. We also handle cases in Marion, Citrus and Hernando counties. If you or a loved one are in need of legal representation within the listed counties, please contact us by phone or email to schedule your consultation with a qualified attorney. I want a divorce. What do I do? If you are considering filing for divorce, it is important to speak with a qualified divorce attorney as soon as possible to discuss your options and wishes. Our team at Holden & Darby will help you assess your family’s situation, and work with you to decide the best course of action. The first step towards getting a divorce in Florida is to file a document called a Petition for Dissolution of Marriage. This document outlines any claims that you have for things like custody, child support, alimony, and division of property and debts. This depends on whether the divorce is contested or uncontested. If the divorce is uncontested and the couple ends their marriage agreeably, then the process could take as little as four to five weeks. However, if a judge must get involved in a contested divorce, your case could last six months or longer. In counties where the courts are busy, it could easily take a year or more. If you and your spouse have been married for 20 years or more, most likely things like child support and custody will no longer be an issue, since children will likely be preparing to or already have flown the nest. However, there are three major factors that still play a big role in long-term marriage divorces. Alimony – The length of the marriage is an important factor when it comes to alimony. The longer the couple has been together, the more likely a court will order spousal maintenance for the under-earning spouse. These types of alimony are more likely to be permanent rather than rehabilitative. Marital Home – Odds are, couples who have been married a long time have already paid off their home. This creates sizable and valuable asset, free of liens. When this happens, spouses close to retirement will not need to worry about paying a mortgage or refinancing the home. If the house is worth $300,000 or more, the spouse keeping it may have to take on a $150,000 mortgage to buy out the partner’s equity. Since this can often be an issue when each spouse’s income will soon be reduced due to retirement, many courts will award the house outright to one spouse, allowing the partner’s equity share to act as a one-time lump sum of alimony. There are many kinds of accidents that can cause injury: defective products, slip and fall accidents, and car accidents. If you are ever injured in an accident, it is important that you call the police to report the incident and seek medical treatment you may need for any injuries sustained. It will also help your personal injury case if witness statements and contact information are gathered and the scene is documented with photos or videos as soon as possible after the accident. If you are physically unable to do this, usually the law enforcement officers involved will handle it. As soon as you are able, contact an experienced personal injury attorney to handle your case so that you can receive the medical and financial compensation you deserve.